The recent hearing of the Undercover Policing Inquirywas a world away from the stereotype of legal proceedings. Whilst other courtrooms seize up with the stale formality and impenetrable legalese, this session was awash with dramatic force that engulfed everyone present. And not in a good way. The Inquiry’s Chair, Sir John Mitting, was sitting in for his second public hearing after taking over from Christopher Pitchford. Concerns victims had about the Inquiry under Mitting’s predecessor have only multiplied as the bias towards police secrecy becomes markedly worse. Mitting said that he would not tolerate the Metropolitan Police’s former tactic of ‘Neither Confirm Nor Deny‘ (NCND) being used to withhold from the public any information about large numbers of officers. Yet he has essentially continued the Met’s policy of NCND, rebranding it by saying that revealing any details about a spycop is ‘a potential breach of an officer’s Article 8 rights’, the human right to a private life. This has been the basis of Mitting issuing blanket anonymity to batches of undercover officers in recent months. Effectively, Mitting is saying the rights of violators are more important than the rights of the violated. Because he regards the officers’ human rights as paramount, the public won’t be told the names of these spycops who invaded citizens’ lives and breached Article 8 rights – as well as Article 3 (freedom from torture), Article 6 (the right to a fair trial), Article 10 (freedom of expression), Article 11 (freedom of assembly and association) and Article 14 (freedom from discrimination). The overprotection of police privacy is now Mitting’s standard procedure. He looks at what the police officer says, and then at a risk assessment performed by another police officer, then he publishes redacted versions of these statements and issues a ‘minded-to note’ of his intentions. Dutifully, we then go to hearings where Mitting basically goes along with what the police have recommended. He appears oblivious to the possibility that an officer might want to be anonymous because they have something to hide. The one exception was the U-turn on Rick Gibson, whose real name is to be released, but only because the Undercover Research Group presented shocking new information about him deceiving women into relationships. Without his erstwhile comrades coming forward with the name the officer had used, the groups he infiltrated and when, this investigation would have been impossible. This is the fundamental issue of the Inquiry – we need to know the cover names used by officers in advance, so that those spied upon can give testimony on what the officers did. Without that, the Inquiry is reduced to the police selectively self-reporting. The hearing earlier this month was concerned with seven officers, all of whom Mitting was intending to grant full anonymity. Two of the officers were known by the code numbers HN23 and HN40. We are offered the bare minimum of information about them, basically just telling us that they existed. Mitting claims publishing their cover names could lead to the real names being discovered which, in turn, could lead to the risk of serious violence against the officers. HN23 was deployed against one group and reported on other groups in the 1990s. They feartheir friends and family will feel betrayed that they kept their spycop past a secret. HN40 was deployed against two groups in the last decade of the existence of the SDS (ie 1998-2008). They were prosecuted under their false name. Despite this evidence of perjury and perverting the course of justice, the Inquiry seeks to fully protect the officer. Kaufmann then asked, if we can’t know about the officer can we at least be told why that decision has been taken? KAUFMANN: ‘It strikes us as extraordinary that we cannot even be told, for example, was this officer engaged in a deployment in relation to left wing groups or right wing groups. How on earth can the disclosure of that fact alone put that officer at risk? Mitting was aloof and unrelenting, waiting for her to finish speaking and simply repeating himself. Maya Sikand, representing whistleblower SDS officer Peter Francis, spoke next about HN23. Sikand then raised the stakes, saying that Peter Francis knows who HN23 is and the groups that were infiltrated. SIKAND: ‘This is an officer who would have valuable evidence to give you about the nature of his deployment and what he was asked to do would be something that he needs to give evidence to you about, because it is likely that there was a level of violence authorised by Special Demonstration Squad managers in his deployments. At this point Peter Francis interjected in person. Francis started by reminding Mitting that he and his fellow SDS officers lied professionally, that they had been trained to make whatever they say sound plausible. Rising to his feet, Francis contrasted the dangers faced by SDS officers with those of former drugs squad officer Neil Woods who was sitting in the public gallery. The court moved on to what Mitting conceded is ‘the problematic case of HN58’. HN58 was the senior manager at the SDS during a crucial period in the late 1990s. It was five years after Stephen Lawrence was killed, and the Macpherson inquiry was investigating corruption and racism in the Metropolitan Police’s murder investigation. That inquiry was supposed to get to the truth and be the last word on the issue. But unbeknownst to them, the SDS was spying on the Lawrence campaign for justice, effectively trying to undermine the inquiry. Mitting gave a clear statement in November 2017, saying that he wants this Inquiry to succeed where Macpherson and other previous processes have failed. But withholding the real name is not the only issue with HN58. Like most SDS managers, he had previously been an undercover officer. We want the cover names published. With HN58, where there is evidence of wrongdoing as a manager, it suggests possible wrongdoing when he was an officer. His cover name must be published to allow the people he spied upon to come forward with their experiences. 1. ‘There is no known allegation of misconduct against him’. This is absurd. How can we make any allegations against an officer if we don’t know who they are? Tell us the name and let those they spied on come forward to say if there was misconduct, otherwise Mitting is conducting his own mini-trials based solely on police evidence. Kaufmann bluntly told Mitting, ‘it is not a reason that actually makes any sense’. 2. ‘The nature of his deployment’. This is impossible to comment on without knowing any details, but it’s clear that officers exaggerate the danger of their deployments. 3. ‘What is known of his personal and family life make it unlikely it would be necessary to investigate possible misconduct even if details of his deployment were made public’. This is even weirder than point 1, and nobody seemed to understand what Mitting was alluding to. When challenged, he replied ‘I know more about this man than you do’. Exactly what he meant had to be teased out of him. Eventually he said it. MITTING: ‘We have had examples of undercover male officers who have gone through more than one long-term permanent relationship, sometimes simultaneously. There were gasps of incredulity around the court. Does Mitting really believe that if a man has stayed married to one woman for a long time he will not have deceived women he spied on into sexual relationships? And that we can be so confident of this that we don’t need to check if it applies in every case? The idea that men do not hide affairs from their wives, or have arrangements where affairs are tolerated, is utterly bizarre. It is patently untrue, as we already know from other spycops. Several are known to have stayed married to the same person (at least until the truth was exposed by those they spied on), including the infamous Mark Kennedy who had relationshipswith four women who have now reached legal settlements with the Met. A man possessed of opinions such as Mitting’s has no place running an Inquiry with sexual abuse of women and institutional sexism at its core. This moment also made clear that Mitting had been using ‘misconduct’ exclusively as a euphemism for ‘deceiving women into sexual relationships’. He had already made the women a special case at the November hearing, saying they deserved full answers, but not mentioning any other groups of victims. 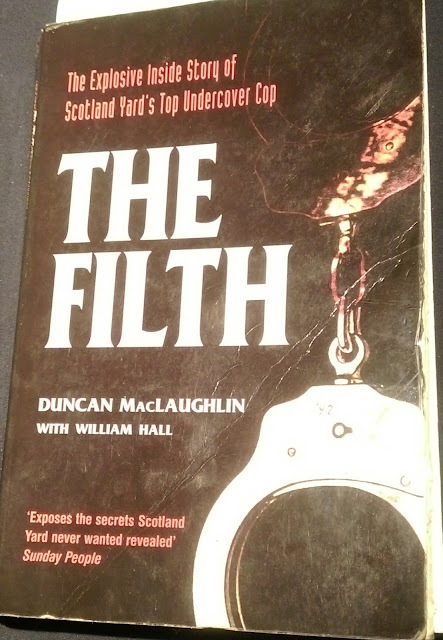 It’s important to remember that sexual abuse was only one element of the spycops’ criminal misconduct. Assault, identity theft, incitement, burglary, perjury and perverting the course of justice were all commonplace. 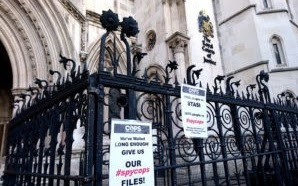 Mark Ellison QC found that not only did spycops lie to courts and spy on lawyer-client meetings, they also withheld evidence that could have exonerated accused people. Officers have admitted to the Inquiry that they were arrested and prosecuted whilst undercover, yet Mitting has apparently decided this is not misconduct worthy of consideration, let alone telling the victims about. The victims should be heard. They – the people who brought the issue into the light – are the most keen to have the truth publicly established, but they are repeatedly running into Mitting’s brick wall. His excessive faith in police integrity, and refusal to be substantially swayed from that trust, is steering the Inquiry far from its goal. Yesterday the Inquiry announced that, despite all that was said at the hearing, it will withhold the real and cover names as intended (with the exception of probably releasing the real name of the now-deceased Rick Gibson). In other words, if an officer is still married to the person they were with at the time of deployment then they are assumed to be blameless and will be protected from scrutiny. The Inquiry cannot fulfil its purpose like this. Something fundamental must change if there is to be any point in it at all. CHRISTINE GREEN: "Met police spy has long-term relationship with activist after quitting covert role" - Guardian - #spycops + UNDERCOVER COPS REVELATIONS etc.